Mary Zogg, formerly Mary Hoftiezer has a multidisciplinary background which helps to provide a unique experience for her clients. She has an undergraduate degree in psychology and a Masters in Business Administration in addition to her law degree. This allows her to provide her clients with a full vision of the financial, emotional, and legal aspects of their cases. Mary takes a global look at your case, including the emotional, the financial, and the legal aspects of your case. Mary’s degree in psychology has provided her with the ability to listen and understand the emotional impact of a divorce or paternity action. She works to understand how you feel and takes these feelings into account when putting together a strategy as to how to resolve your case. Mary isn’t going to sugarcoat things for you. She will hear your position and let you know how your case may play out in the divorce or paternity action. Mary understands that this is about your life and she does her best to address the way you feel as you progress through this process. In addition to her undergraduate degree, Mary chose to obtain a Masters in Business Administration. Divorce, at best, is difficult and it can be financially devastating. Mary works to help her clients fully understand the financial aspects of their cases. 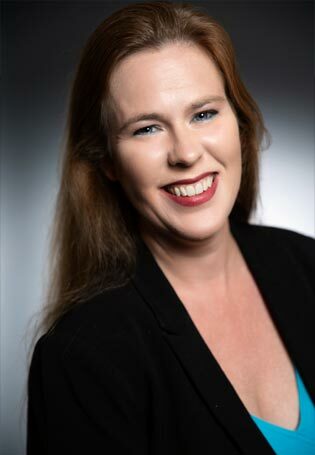 She identifies the issues that will have a financial impact on your case, and works to put the right people in place to provide the best possible result for her clients. Mary has been a practicing attorney for over a decade. Her experience allows her to provide her clients with a full picture of how the law may apply to each of their individual cases. The truth is, no one will get everything that they want out of a divorce and no one knows for sure how a case may be resolved. However, Mary uses her experience to inform each of her clients of how the existing laws apply to their case and works with her clients to find a legal resolution that they can live with. It is difficult enough to go through a divorce or to have any kind of conflict about your children. Mary works with her clients to come to a comprehensive strategy, taking into consideration all aspects of the case and the individual needs of her clients, so that each client may anticipate the results of their case. No lawyer can guarantee results, and Mary does not try to provide guarantees. Instead, she works with her clients to keep them informed and maintain reasonable expectations as to how the case may be resolved. Mary works hard to ensure her clients know the possibilities for resolution and tries to ensure that the results are what each client anticipates. She works to ensure that no client is blind-sided by a court ruling.